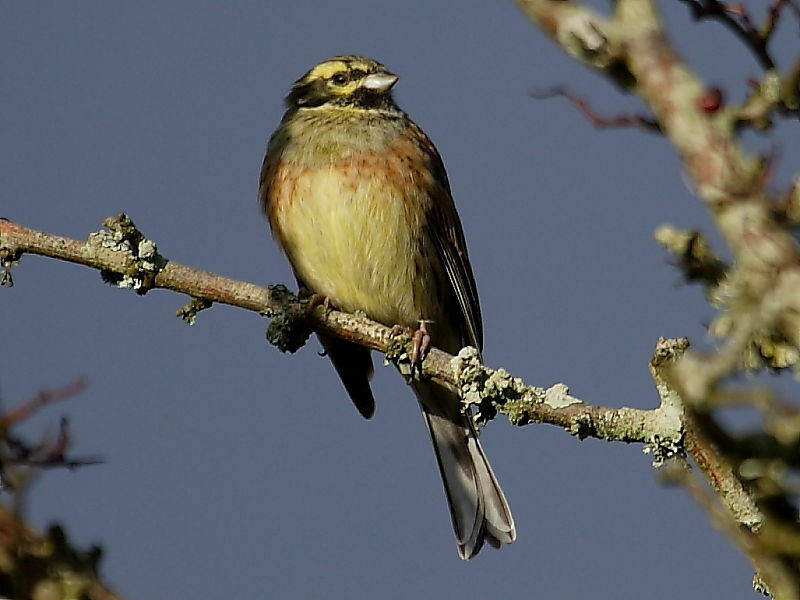 This male Cirl Bunting was photographed in Cornwall in 2010 and there is now real optimism that this species has once more become established in the county. The RSPB has just reported that the number of pairs of Cornish Cirl Bunting has now reached 43 which is considered a self-sustaining population and great news for Cornwall having lost these song birds in the 1990s. 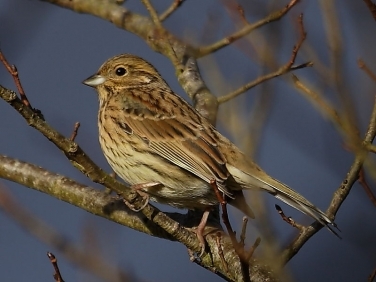 Having now met the objective of the Cirl Bunting 2006 Reintroduction joint venture between the RSPB, Paignton Zoo, the National Trust and Natural England there will be no further reintroductions of birds from Devon. However, the numbers will continue to be monitored closely over the next few years and all records of sightings from visiting and local birders will prove invaluable to understanding how these birds are faring. Identification of Cirl Bunting (Emberiza cirlus): The identification of the male Cirl Bunting with its striking black and yellow striped head is easy enough but the less well marked females can be mistaken for juvenile or female Yellowhammers. 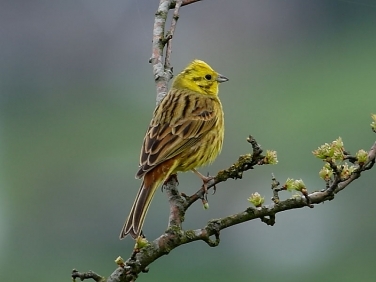 A helpful diagnostic feature to look out for when trying to determine whether it is a Cirl Bunting or a Yellowhammer is the colour of the rump; the Yellowhammer has a reddy brown rump while the Cirl Bunting’s is olive grey. 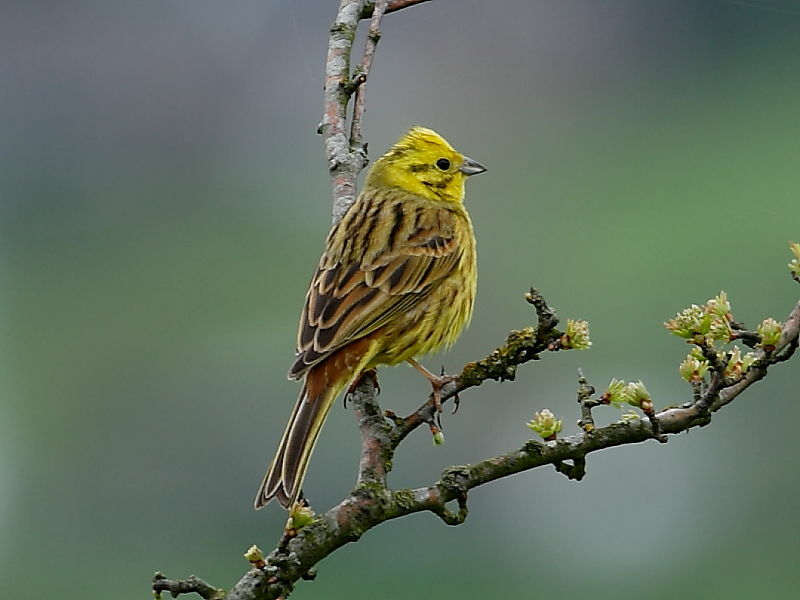 The image shown is of a male Yellowhammer showing the distinctive reddy rump which is also shared by the female. Even from the side view image shown of a female Cirl Bunting taken in Cornwall in 2010 it can be seen that there is no rusty red colouring on the rump.